Bridal season is in full swing, and EvelineCharles is your beauty destination for brides, bridal parties, and guests. This occasion should be stress free and enjoyable. 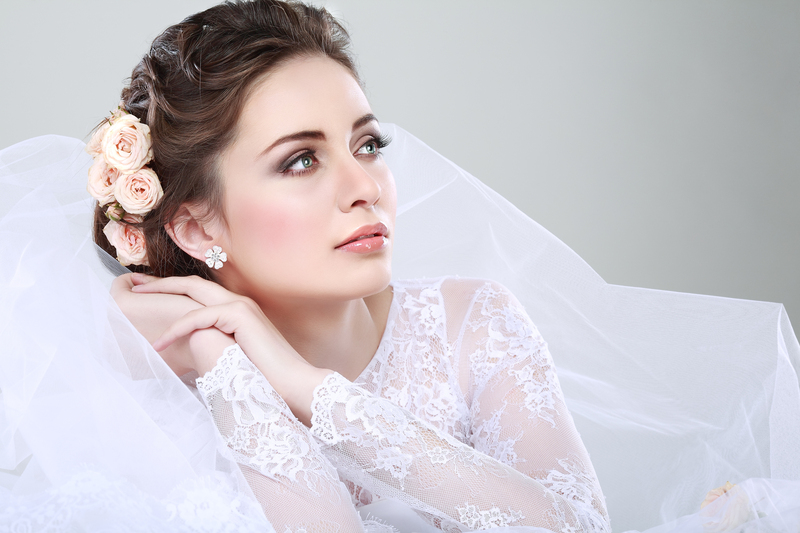 Our professionals want to help you look your best and be wedding ready! For brides, our Bridal Beauty Timeline will help you plan for those important appointments leading up to your wedding day, so you fully enjoy this special time in your life. This includes preparing your skin for that bridal glow, booking your nail appointments, and planning your updo for your special day. Our Bridal Beauty Services aren’t only reserved to the brides, they’re for guests and bridal parties as well! Enjoy a manicure or facial by one of our expert estheticians or wow guests this bridal season by booking in a hair blowout or updo with one of our master stylists. 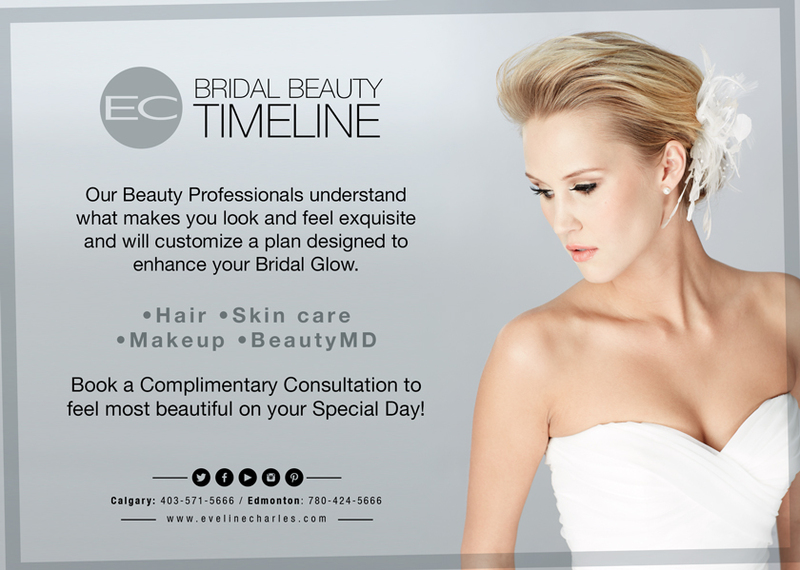 EC Bridal Timeline includes Hair, Skin/Nails, Massage, Makeup and Beauty MD. Which includes pre- planning, 8-10 weeks prior, 1 month prior, 2 months prior and week prior. This is a great way to be organized and stress free during the most special time for you and your bridal crew. Book your Bridal Beauty Appointment Today to Feel your Most Beautiful This Wedding Season! I am looking for someone to do hair and makeup for myself and the crew for my wedding day on July 6 2019. How much do you charge? Thank you for getting in touch! Please call 780.424.5666 to book a consultation with one of our stylists. They will be able to advise what the price will be for hair and makeup for your wedding party.